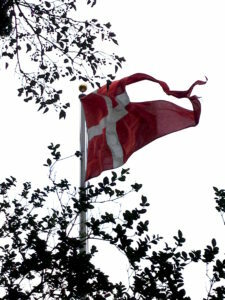 • Right next door to the CHS is the Danish Embassy, which flies a swallow-tailed Dannebrog. 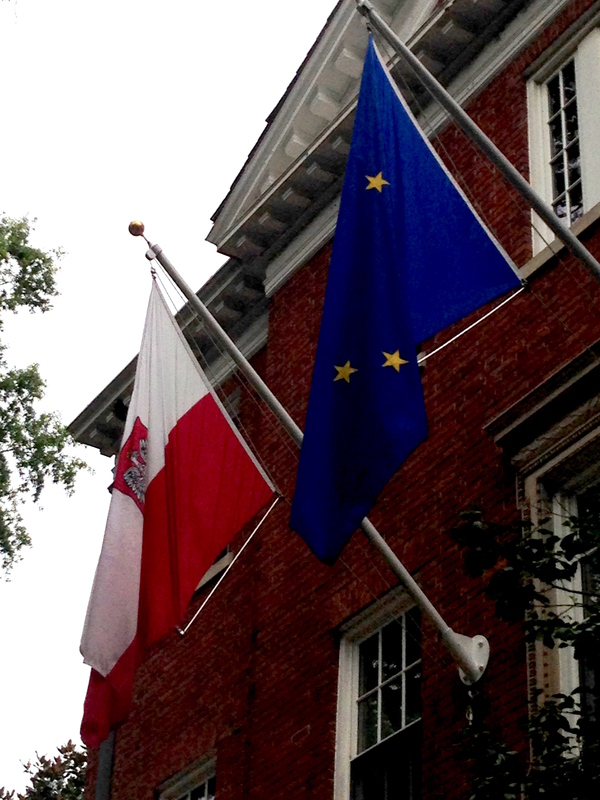 • The Polish Embassy flies a variant of the Polish flag with the national coat of arms on it. 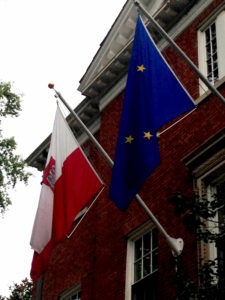 It also flies the European Union flag; the embassies of other EU countries also do this. • Except the United Kingdom, of course! 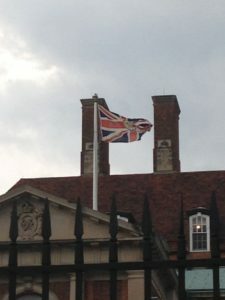 I do not believe that the absence of the EU flag over the British Embassy is a result of Brexit – the placement of the single pole suggests that they never flew the EU flag. 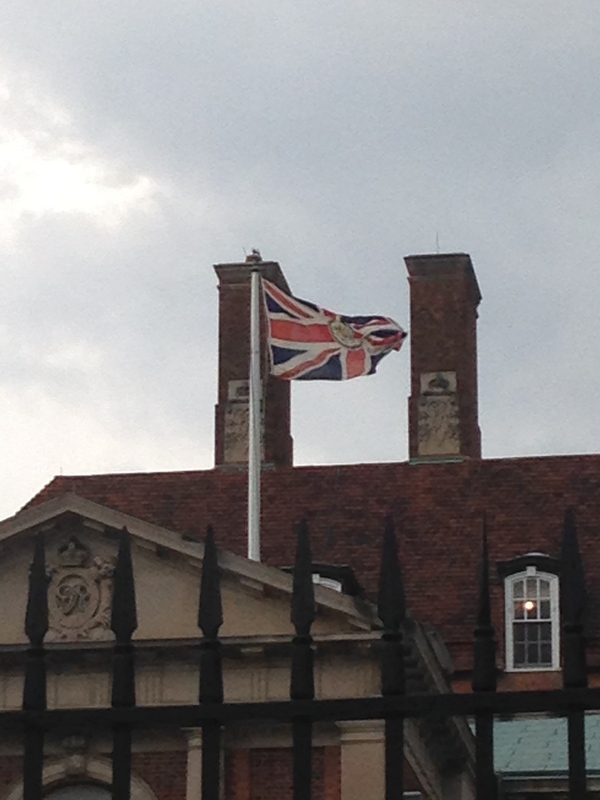 The Union Flag is here defaced by a roundel featuring the Royal Arms, signifying the presence of an ambassador. 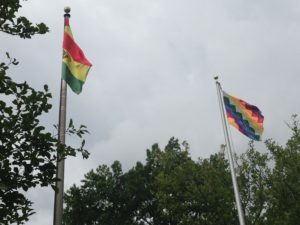 • The Plurinational State of Bolivia, I discover, has two flags: a traditional one consisting of a horizontal tricolor (here featuring the national coat of arms), and a newer one featuring a seven-color checkerboard design. 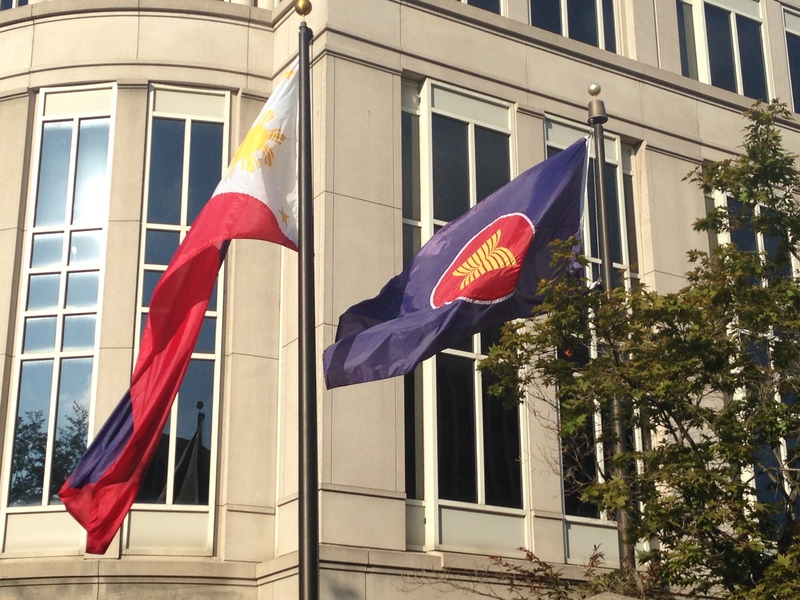 This is known as the Wiphala and it is an emblem of the native Andeans. It has had equal status to the tricolor since 2009. • The Turkish Republic of Northern Cyprus has no diplomatic recognition, but that will not prevent its flag from appearing outside the Islamic Center of Washington. 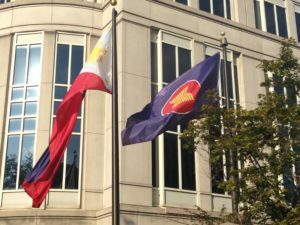 • As European Union members do with the EU flag, member states of the Association of Southeast Asian Nations, like the Philippines, fly the ASEAN flag. I did not know about this one. 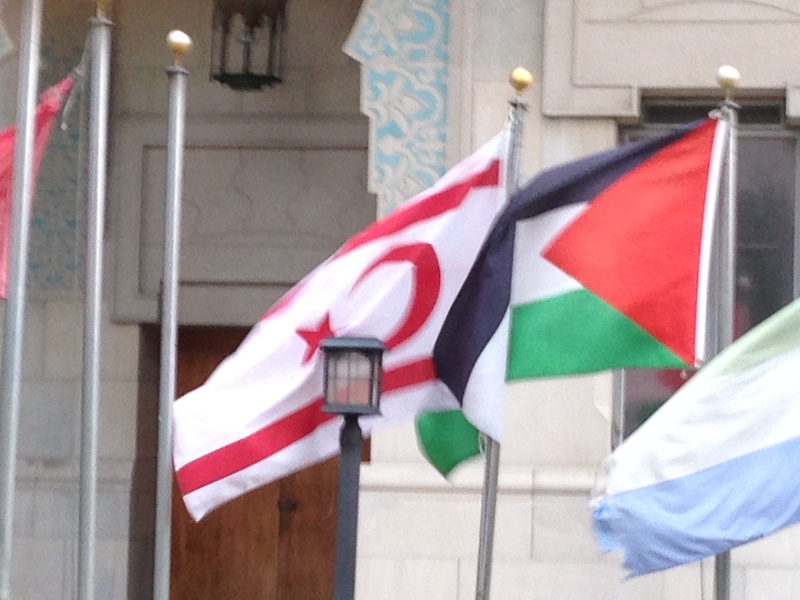 This entry was posted in Flags, Travels by jgood. Bookmark the permalink.